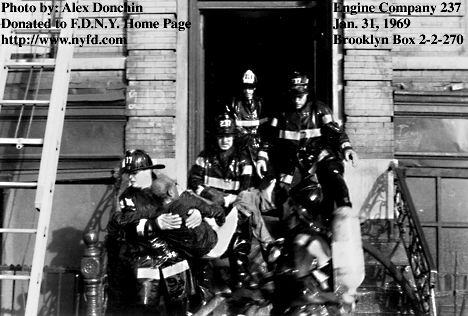 Engine Company 237 started out as Engine 37 In The Brooklyn Fire Department on July 15, 1895. It was later reorganized to Engine 237 on January 1, 1913. Engine Company 237 often had to do their own Truck work because they are a single house and the first due Ladder Companies are far away. They had to force their own doors, search and remove victims while stretching their line and start their attack on the fire floor without the benefit of ventilation from the Truck Companies until much later. I know for I was detailed there a few times.